Over in El Universal, Puzkas has a scoop on CNE’s plans to redraw the National Assembly district boundaries to eliminate a number of safe oppo seats. El proyecto, facilitado por técnicos electorales del PSUV disminuye la cantidad de diputados que se escogen la circunscripción 2 de Miranda, la cantidad de diputados tipo lista en el Distrito Capital o modifica el número de parlamentarios que se elegirán en la circunscripción 1 de Nueva Esparta. 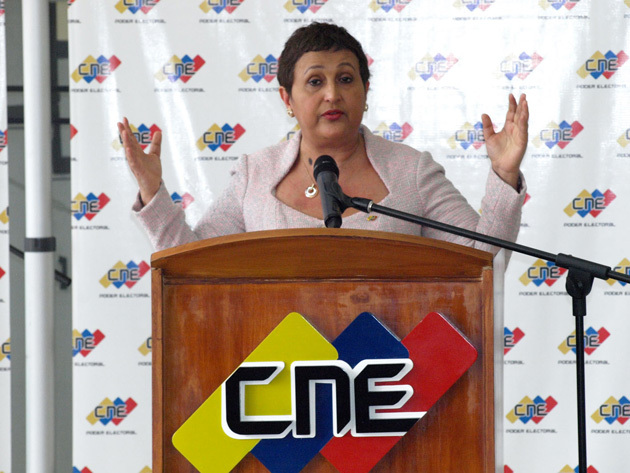 Además, aumenta la cantidad de diputados a elegir en la circunscripción 6 del estado Aragua, la circunscripción 1 de Barinas y la circunscripción 1 de Guárico. Disgusting, you say. Typical barely disguised CNE partisanship, right? Well sure. And yet, on balance, I see this as a positive sign. Because if they’re thinking along these lines, that tells me they’re still planning to have an election. And with the opinion climate the way it is now, 4 or 5 won’t make a difference. All it would do is leave PSUV 29 or 30 seats in the Assembly, out of 167, instead of 25. That’s not even an exaggeration. In the latest Datanalisis generic ballot question, the opposition is outpolling the government 61-27 in the generic ballot question for national assembly, with independents third parties picking up the remaining votes. In the head-to-head matchup between PSUV and MUD, then, MUD is ahead 69-31. Plug those numbers into our 2010 Legislative Election Forecasting Tool and it forecasts a 140-25 MUD landslide. Other pollsters suggest similar catastrophic margins. Delphos’s generic ballot has the MUD ahead 66.8 to 33.2 in the head-to-head matchup, which would mean 137 seats for the opposition (or, well, 132 after these boundary changes.) DatinCorp has the MUD ahead by pretty much the same margin. Interestingly Keller, which usually has an opposition slant, has the “worst” scenario for the opposition winning the head-to-head matchup by 56.6% to 43.4% and ending up with 109 opposition seats in the Assembly. 2015 is not 2003, when a last-minute surge in government spending could still result in a useful last minute bump in the polls: not only because the government’s coffers are pretty much tapped out and nobody is willing to keep lending to it, but also – more importantly – because the economic policy framework is so insane that even a short-term boost in spending wouldn’t lead to tangible improvements. The government knows how to cheat its way to a majority in a Venezuelan election when it’s within striking distance of its target. But the government is miles and miles away from its target, losing by a 2-to-1 margin in most polls. People hate their guts, hate what they’ve done to their livelihoods, just plain don’t believe them. There’s no mobilizing a base that hates your guts, no get-out-the-vote-machine when the people who’d have to run it are sick to death of you. And in the Datanalisis poll series, the opposition’s lead is widening, not shrinking. In these circumstances, what we really need to fear isn’t that they’ll try to cheat on a few seats here or a few seats there, because this isn’t going to be the kind of election decided by a few seats. What we need to fear is that they won’t have an election at all. That’s why the more noises they make suggesting they’re sweating a-few-seats-here-and-a-few-seats-there the easier I breathe. PSUV looks to be sleepwalking into an epic AN drubbing. Epic.